After years of living in Brooklyn where she worked as an artist, Maggie Crozat has returned home to Pelican, Louisiana. Maggie splits her time working at an old plantation from her mom’s side of the family and the plantation turned bed and breakfast from her dad’s side. In her fleeting free time, Maggie creates her art and tries to figure out just where she belongs and what her next endeavor should be. As Plantation Shudders begins, the summer is winding down and the Crozat Bed and Breakfast is welcoming a full house of guests. Just as their stay gets underway, two of the Crozat guests die within minutes of one another. The investigation reveals that, while one of the deaths was of natural causes, the other was anything but natural. The clues begin piling up to implicate Maggie’s family, but Maggie will stop at nothing to uncover whoever is framing her family. 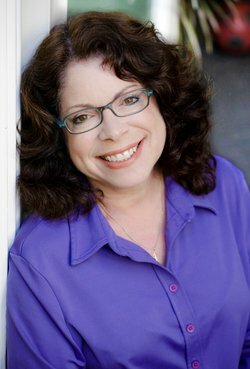 Ellen Byron brings Southern hospitality to life, transporting her readers to the heart of Cajun country. Plantation Shudders unfolds at a true Southern pace – slowly, yes, but deliciously so. The combination of good old fashioned family values, spicy Louisiana recipes, plenty of Southern charm, and a dash of romance make this a tempting cozy debut sure to entice mystery fans to check in at the Crozat Bed and Breakfast. 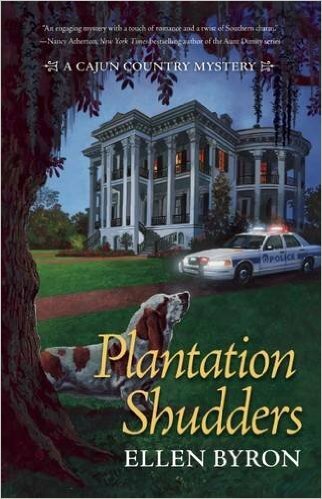 Click here to enter to win a print copy of Plantation Shudders!